Is there always cake in your work kitchen? Are Fridays your treat day, even though you’ve actually treated yourself more than enough times throughout the week? Whether your downfall is chocolate or pastries from the morning breakfast run, eating well at work is an upward struggle with so many temptations. And with most people spending their lives in the office, it’s hard to get on track and start following a healthy regime. 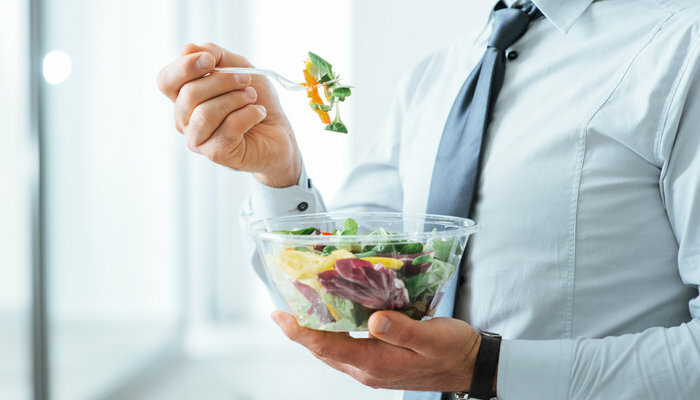 To help you feel less tired and lethargic, and full of energy, we’ve compiled a list of the best tips to follow to make sure you’re eating well throughout the day.